Pluto to be Re Planetized. Our Science $ at Work. Discussion in 'Science' started by Moi621, Sep 11, 2018. Pluto to regain planet status. It should never have lost it. Pluto should be reclassified as a planet, according to a new research study. In a paper published in the journal Icarus, Philip Metzger, a planetary scientist at the University of Central Florida, argues that the reason Pluto lost its planet status is not valid. . . .
Well duh-uh, WE ALL knew that! Science needs more funding so it can continue spending on Science which is a good thing. Let's remember that Eris is larger than Pluto, and it's characterized as a dwarf planet, too. Mike Brown (and team) discovered Eris and he was part of the group that defined what a dwarf planet is. His twitter handle is "plutokiller"! There are many other Kuiper belt objects besides these two dwarf planets. And, that region is the source of objects about which we should be at least somewhat interested. They get dislodged by gravitational encounters and end up on orbits that can intersect Earth's orbit. It does look like Mike Brown and Co. are seeking more free $ $ $, don't it? Pluto made it as a Planet because of history. We will always be finding middlin sized objects that could be this or that. History and Walt Disney have to count for something. Pluto is similar to Earth in having a significant moon. More like a binary planet system. Or does it have 3 significant . . . Yes, Pluto is cool. But, it's not even the largest dwarf planet. I don't know why this is worth worrying about. And, your accusations of diving for dollars don't even make sense - as I already pointed out. Pluto can never be reclassified as a planet and wont be. Have YOU ever been near, "diving for dollars"? A Planet by us Baby Boom generation. And splitting hairs over size just doesn't cover the expense, truly. No more funding for Brown and team. Replanetize Pluto and ostracize Brown. Well, there are actual reasons for wanting to have a name for these smaller objects. Everybody loves babies - puppies, kittens, etc. Now, you get to love a baby planet!! Did you keep your "Pet Rock"
I've never even seen one. I was well aware that they existed - advertising does that. But I don't know of any individual who actually had an official Pet Rock. The 70's are pretty much unknown to me. I was working then. I didn't see daylight or eat real food that decade and much of the next. And I have witnessed audiences on those shows booing persons declared, . 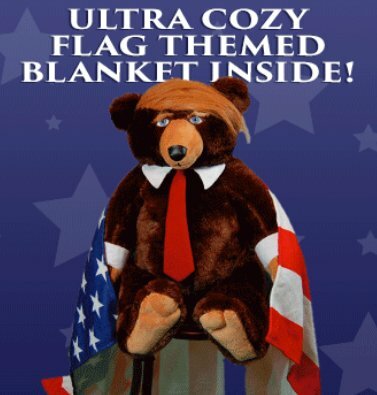 Especially as long as I have my Trumpy Bear nearby. Give me some of that thar $ $ and I'll think on it long and hard. "We will always be finding middlin sized objects that could be this or that." The trick is not to waste so much stumblin' over them. Rather how are they different by history and nature to smaller and larger ones. By history and nature, Pluto is a planet victimized by "diving for dollars" science. The Rhetoric of Life and Moi621 like this. The reason Pluto was reclassified as a dwarf planet has little to do with size and much to do with where it is. Unless scientists/astronomers wanted to spend a day every week coming up with names and keeping the planet list updated there was no choice. As it is naming and tracking the many dwarf planets is becoming difficult as new ones are found and there are likely thousands of Kuiper belt beasties waiting for us to find them. By adding the "Must clear orbital path" to planet definition the mess discovery creates is eliminated. Maybe border line orbit requirements met too. on the Pluto Planetary System's orbits, what then? Redefined? Should that happen names will be irrelevant other than the curse words heard as our planet gets destroyed. Pluto is a planet. It's a Mickey Mouse planet, but it's a planet. It happened in my life time. California was going to E'quake into the sea. The convergence of the gas giants would be far more profound on Pluto. Yes? Jupiter, Saturn, Uranus, Neptune and Pluto, all lined up in closest proximity allowed by orbital physics. Pluto gets a new orbit? Still a planet under the new improved nomenclature system? I take it you refer to the San Andreas....if so no one beyond scifi writers and tabloid magazines made such a claim. The planetary alignment you have made up would not cause much of a fuss to anything...I suggest you read less fiction and more science. I remember the chatter when it was happening. Besides, California is not going to fall off into the ocean but, rather stop supporting the rest of the continent reestablishing the Great North American Sea. By adding the "Must clear orbital path" to planet definition the mess discovery creates is eliminated. This was being discussed on the radio last night. Did you know that Jupiter has not cleared its orbital path? The huge gravity field of Jupiter constantly draws new materials into its orbital path so it is replenished. The orbital path however is clear of belts of material.